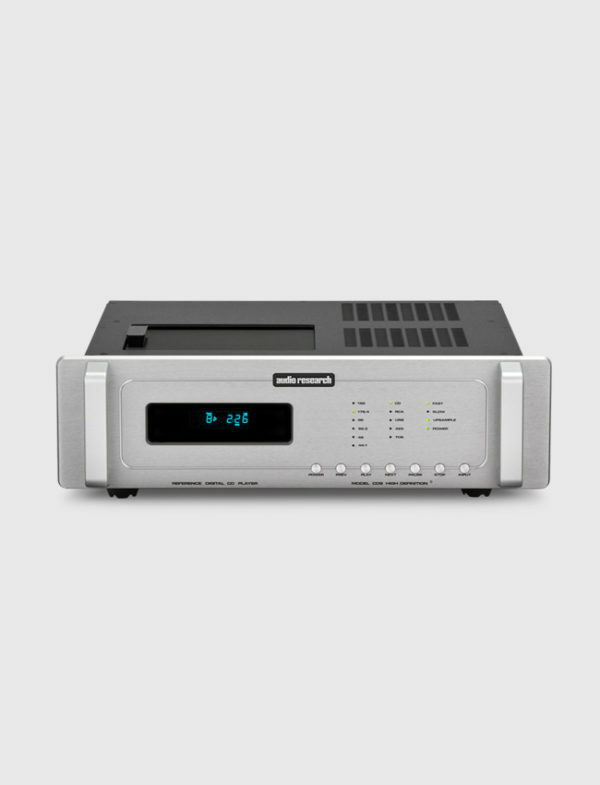 Audio Research introduced its first Reference series CD player in 2005 with the Reference CD7, then evolving into the Reference CD8 in 2008. Both players met with critical acclaim for their musicality and reproductive accuracy. 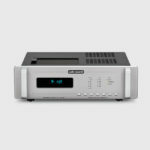 People still want to play their CDs, but they also want to add other digital sources such as computer audio to their music systems, so we created the Reference CD9 CD Player/DAC. It combines the best of both, a super high-resolution compact disc player with a super high-resolution digital-to-analog converter that is stunning in its musicality. The Reference CD9 incorporates four digital inputs: Asynchronous USB 2.0HS, AES/EBU, RCA, and Toslink. All inputs handle 24 bit / 192k resolution. As you would expect, the Reference CD9 retains the Philips PRO2R transport, still the best dedicated CD mechanism available. It is simply unsurpassed for compact disc playback. Benefitting from what we have learned in the development of the Reference DAC and the DSPre, the REF CD9 utilizes quad 24-bit DACs running in mono mode, with dual master oscillators; one for 44.1/88.2/176.4 sample rates, the other for 48/96/192kHz sample rates. Sample rate conversion is selectable for all inputs, allowing playback in native resolution or via upsampling, including compact disc and—for the first time—the USB input. Additionally, there is a selectable digital filter, with either fast or slow rolloff. On the bench, the bandwidth of the Reference CD9 is five times that of the CD8, with one tenth of the distortion, greater dynamic range, and it is also quieter. Like the Reference 5SE, Reference PH2SE and Reference DAC, the analog section is vacuum-tube, with four 6H30 dual-triodes, and there is vacuum-tube power-supply regulation featuring a 6550WE with a 6H30. The magic is continued. The front panel has the familiar, dimmable CD display on the left side. On the right side there are three vertical rows of LEDs to indicate sampling rate, input selection, filter and power. In addition to the digital inputs, the back panel includes Digital Outputs (AES/EBU and BNC), single-ended RCA and balanced XLR outputs, and a 15A IEC power connector. Due to its function as a separate DAC, our custom ASIO drivers must be installed in your computer for use with the USB 2.0HS input. Sonically, the Reference CD9 is in a new class, combining the magical musicality of tubes with new levels of transparency and aliveness. The Reference CD9 sounds “faster” with greater transient speed, improved dynamics from top to bottom, much greater resolution of inner detail, with a focus and purity that is captivating. Rhythm, pace and timing are better than ever, something you must hear to appreciate. It’s time to hear your music in High Definition®. FREQUENCY RESPONSE +0-3dB, 3Hz to 96kHz at rated output. 0.15dB 20Hz to 20kHz. (Balanced, 200k ohms load)@ 192kHz sample rate.DISTORTION THD+N Less than .003% at 2V RMS BAL output.SIGNAL-NOISE-RATIO 110dB DYNAMIC RANGE (AES17) 110dB IMD (SMPTE) .002% RMS NOISE LEVEL -95dBV (20-20kHz) GAIN 14.0dB Balanced, 7.0dB SE. INPUT IMPEDANCE Digital: 75 ohms RCA, 110 ohms AES/EBU, OPT 660nm TOSLink fiber 44.1 to 96kHz. OUTPUT IMPEDANCE 660 ohms Balanced, 330 ohms SE Main (2), 20K ohms minimum load and 2000pF maximum capacitance. OUTPUT POLARITY Non-inverting. MAX. OUTPUT At 0.0dB input, 5V RMS into 200K ohm balanced load. DIGITAL SAMPLE RATES 24 bits @ 44.1kHz to 192kHz, SPDIF, AES/EBU and USB 2.0 HS. UPSAMPLING Select upsampling or Native mode; CD, RCA, AES/EBU, TOS upsample to 176.4 or 192kHz. USB upsamples to 88.2 or 96kHz. MASTER OSCILLATOR 22.579mHz ±20Hz for 44.1, 88.2 & 176.4kHz. 24.576mHz ±20Hz for 48, 96 & 192kHz. OUTPUTS DIGITAL XLR Balanced AES/EBU 110-ohms 4V P-P, BNC coax SPDIF 75-ohms 0.7V P-P.